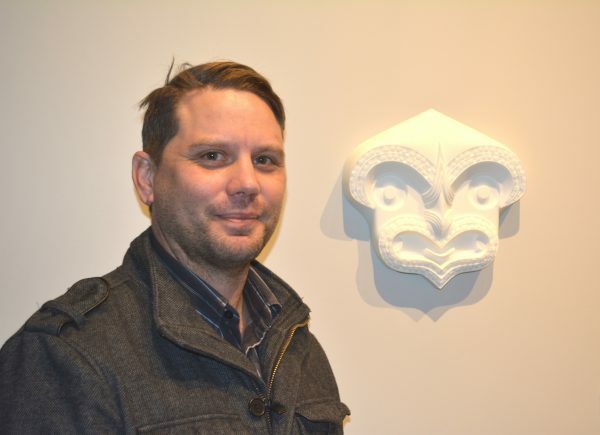 Welcome to the first instalment of Catch up with the Curator, a new quarterly blog series which profiles a range of visitors, and their connections, to Rotorua Museum Te Whare Taonga o Te Arawa. For each segment, our Lead Exhibitions Curator Ane Tonga will interview local and visiting guests. This week, Ane is joined by highly regarded curator and writer, Emma Bugden. We were fortunate to secure Emma as the judge of Rotorua Museum Art Awards 2017. 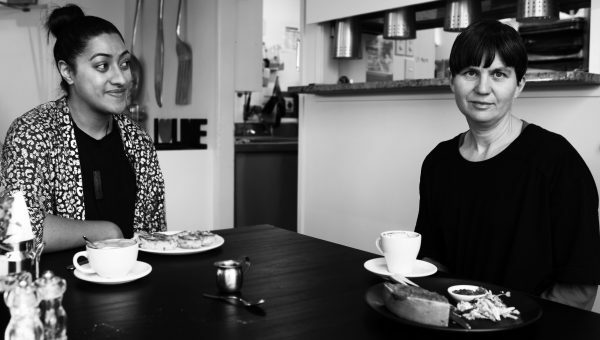 Emma has held a number of curatorial roles in New Zealand including Senior Curator at The Dowse Art Museum, Director of ARTSPACE and Curatorial Director at Te Tuhi Centre for the Arts. She is also the Co-founder and Editor of Small Bore Books, a specialist art and design publisher dedicated to connecting historic texts with new audiences. 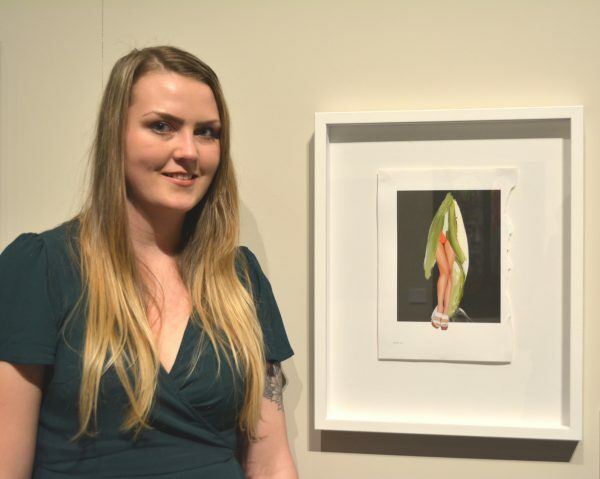 With a wealth of experience and knowledge, Emma had the task of judging 148 works entered into the Rotorua Museum Art Awards and, from this selection, narrow it down to just three winning works. 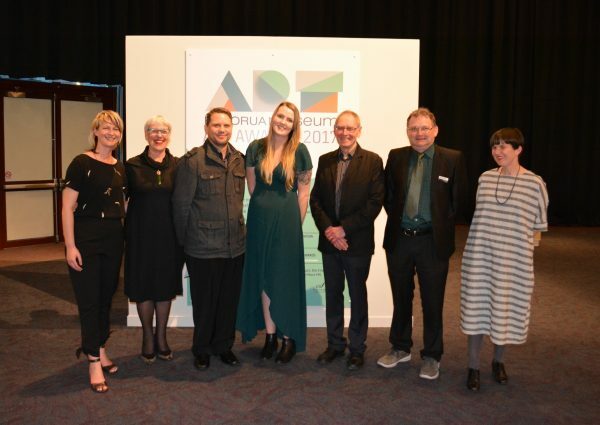 Read on as she shares her insight of our art awards and the state of art in Rotorua. Rotorua Museum Art Awards 2017: (L to R) Cat Jehly (Operational Manager, RM), Mayor Steve Chadwick, Kereama Taepa (Supreme Award), Cheyenne Rose (Friends of Rotorua Museum Emerging Artist Award), Don Hunt (Chairman, Friends of Rotorua Museum), David Scallet (Toi Ohomai Institute of Technology) and Emma Bugden. Ane Tonga (AT): First of all Emma, we’re so honoured to have you as this year’s judge of the Rotorua Museum Art Awards. What were your initial thoughts when I approached you for this task? Emma Bugden (EB): I was excited. Awards are a fantastic way to take a sounding of a community. And giving money to an artist whose work you admire, what could be better than that? AT: Did you come in with any expectations? And did the entries for this competition match your expectations? EB: Of course, I knew what a history of artistic tradition there was in Rotorua. But it’s been a revelation to discover what a thriving contemporary scene there is. I was impressed at the range of works submitted and got the real sense that the arts community is of vital importance to Rotorua and the Bay of Plenty. AT: You’ve judged some of the country’s most prestigious art awards which include the upcoming Portage Ceramic Awards at Te Uru Waitakere Contemporary Art Gallery, the 2016 Walter’s Prize at Auckland Art Gallery Toi o Tāmaki and the Signature Art Prize for the Singapore Art Museum. What did you find unique, rewarding and/or challenging about judging our art awards? EB: I have been known to call this my year of judgement! Being a judge is a fascinating and odd process—firstly, no matter what anyone tells you, it’s entirely subjective. I try to go with my gut instinct as much as possible and often the works you respond to in the first half hour of looking will be the ones that stay with you. AT: Can you share your thoughts on the selection of winning works? EB: It was a pleasure to encounter the three winning works. Firstly, Kereama Taepa’s Bicultural Dialogue I, the small sculpture I gave the Supreme Award to. As I said on the night—sometimes the strongest work is the simplest. As a sculpture it’s a work that’s been superbly executed, but it’s also smart and funny. While Kereama is certainly tackling big subjects — the complexity of cultural identity and the changing nature of craft in a digital world — he does so with a cheeky humour and a strong sense of style. Kereama obviously comes from a family of well-known artists, but I think he’ll be giving them a run for their money in the future. The Toi Ohomai Innovation in Art Award I gave to Jill Fleming for Ascension. I thought a lot about what innovation means and decided that for me it doesn’t have to mean discarding the past. 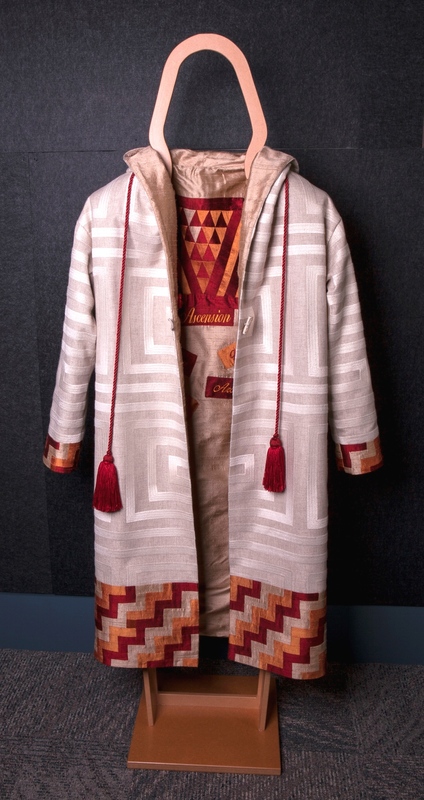 Jill’s textile piece reworks craft traditions—both Māori and European—into a new form which enhances our understanding of the originals. It was also extraordinarily, breathtakingly beautiful. Finally the Friends of Rotorua Museum Emerging Artist Award—and can I give a shout out to the Friends for recognising that emerging artists need support! Cheyenne Rose’s winning work, Legs, had a raw and youthful energy that I responded to. She’d collaged together startling elements in a playful and mysterious artwork that I thought showed a lot of promise. It was lovely to meet Cheyenne on the night and learn that she was a student at the Bay of Plenty Polytech and hoping to go on to post-graduate study in Auckland. AT: Were there any overall strengths, collective approaches or interests you see emerging through the artworks that might be reflective of art practice distinct to this region? EB: It’s probably no surprise to anyone that knows Rotorua but I was intrigued by how present the past was in many of the works. Not in a nostalgic or overly traditional way—but simply acknowledging that the crafts and knowledge pioneered by those who came before us can help us navigate an uncertain future. AT: I’d say that your observations are spot on! Lastly, what words of advice can you give to budding artists who might be interested in entering the art awards scheduled for 2019? EB: Just enter! Cheyenne Rose, who won the Emerging Artist Award, told me she didn’t even expect to see her work on the wall. Craving more art talks? Join us for Meet the Artists to hear from the some of the finalist artists in the RMAA exhibition on Sunday 24 September at 2pm at the Sir Howard Morrison Performing Arts Centre. Rotorua Museum is closed while detailed earthquake assessment is completed.